Chervil Restaurant is a little gem hidden within the clever architecture of Hotel Doolin. Looking out onto the manicured gardens of Hotel Doolin and our prized poly tunnel where we grow our own, herbs, veg & fruit with tender loving care. From the garden to your plate you can be guaranteed the freshest of produce is used in our dishes. 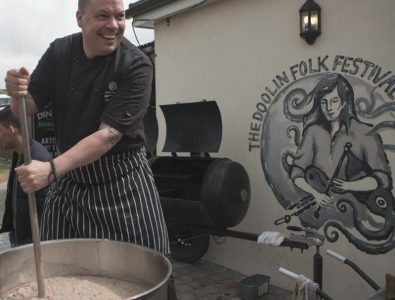 Our other ingredients are sourced from local artisan food producers including, Burren Smokehouse, St. Tola Goat’s Cheese, and Garrihy’s Seafood Doolin, to name but a few. Chervil is the ideal spot for a romantic meal for two or indeed for any special occasion. We can cater for groups of all sizes and provide a great value Table d’hote menu in addition to our A la Carte. We are also featured in the McKenna Guide 100 Best Places to Stay 2015 & 2016.